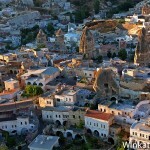 Cappadocia is a special place, its unusual landscape and the way its inhabitants got integrated in such a unique environment, make it an essential destination in Turkey. 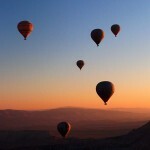 In the last years, something new has been added, it is the possibility of flying over Cappadocia accompanied by dozens of balloons filling the sky. If you also like photography, you are facing one of those unforgettable moments. 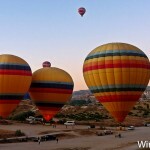 The balloon ride can be included in our tour package, but if it is not, we will be offered one upon our arrival to the hotel. 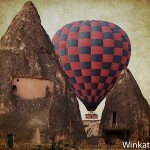 There are many companies providing balloon tours in Goreme and prices can vary greatly depending on the season and our bargaining skill. 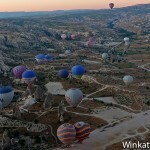 Unbelievable but true, You can also bargain balloon ride prices. Unfortunately, tourists in high season have to pay higher prices, but those traveling not in the summer months can get fly tours for less than half price. All companies operate similarly. They pick up travelers at their hotels, transport them by minibus to the company facilities and offer them breakfast while groups are organized and boarding cards are delivered. 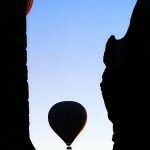 When it comes time, They begin calling travelers for each balloon and shuttle them to the take off area. 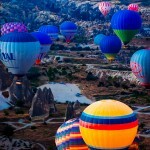 Here we will begin feelling the spectacular sensations offered by this activity. When we get off the minibus we are surrounded by dozens of balloons that the companies employees are still filling with hot air. The multicolor show is fantastic , especially if we have been allocated in the first flight period and it is nearly dawn. 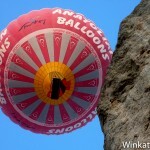 When our balloon is ready, Our pilot will be introduced to us and we will climb to the basket. 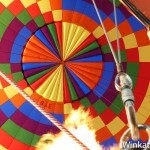 Taking off, with the burner noise over our heads and the company of other balloons, is also a special moment. 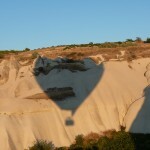 Later, we will fly over some of the famous Cappadocia valleys with their fairy chimneys and our pilot will show us his expertise flying low between the houses of Goreme and the surrounding hills. It is recomendable boarding with an empty memory card in our camera, otherwise it may will not last until the end. 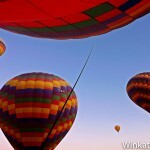 If we fly accompanied, it may be a good idea that one of us takes pictures and the other videos. Landing is another exciting moment, although the skill of those pilots usually provide a very smooth contact. Sometimes, they even get landing on the trailer used to transport the basket. Once back on the floor. The company employees provide us our ballon initiation certificate and offer us a glass of champagne. Finally, We are shuttled back to our hotel by minibus. 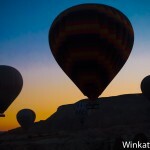 There are usually two flying shifts, the first one includes watching daybreak from the balloon, this means that they will pick up tourists at their hotels very early, especially in summer. Nonetheless, I recommend that shift because of the spectacular views and because, once the tour finishes, we will have the whole day available for other activities. 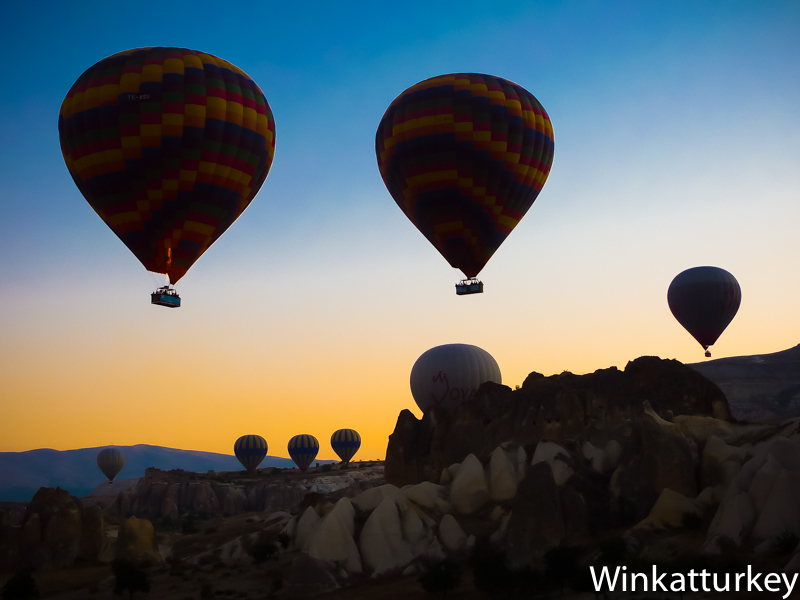 It is important to plan the balloon ride for our first day because if the weather causes a cancellation, we will have the possibility to postpone it for another day. Some people feel some rejection to this experience , because they think that they can fell vertigo or they suffer fear of flying. 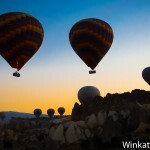 I have to say that the trip in those balloons is like looking through a window, baskets are for twenty passengers and there is no speed sensation. I know several people who initially hesitated but finally enjoyed this activity. 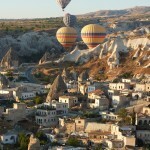 The balloon rides over Cappadocia offer images from old times. Spectacular! 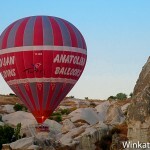 Cappadocia in particular is a wonderful place where ballooning where you can appreciate the landscape in all its splendor. Just wonderful. Thank you very much for your comment. 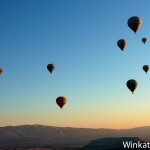 Hope that helps many people to opt for this tour where we can really enjoy something different during our holiday.